Whether you central heating breaks down, or its time to upgrade your gas boiler, its good to have the right people at hand to help you out. 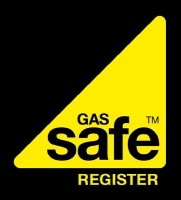 Being Gas Safe registered means we are up to date with the current guidelines and regulations to help you to make the right choice of system or system upgrade for your home. Our heating engineers have many years fault-finding experience, and a good working relationship with a number of suppliers to get the right parts at the right price for your boiler or heating system should it fail you. Should you require a new boiler, we can advise and inform you about the latest in high efficiency condensing models on the market today, so that your individual needs are taken into account. Don''t forget we offer a free, no obligation quotation service, and a 12 months parts and labour guarantee. If you do have a new boiler installed, we can also carry out an annual service and system check to keep it in tip-top condition year after year for your peace of mind.